In the 2006 inaugural Melbourne to Vanuatu race, the daily sked was often followed by ‘The Daily News’ or friendly banter between the competitors. Wendy Gourlay became known to the fleet by a poem she penned for one of these sessions. 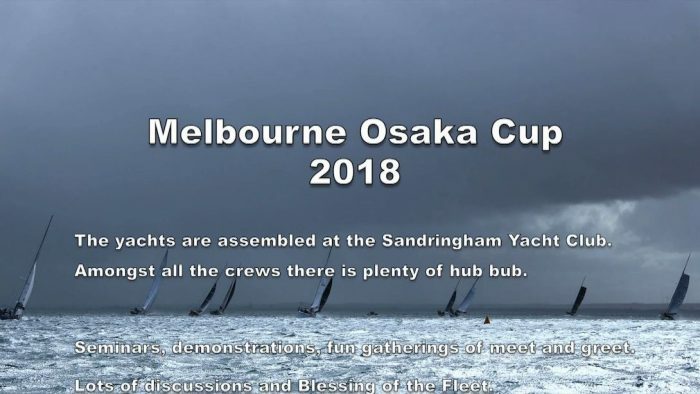 Wendy and husband Ken (solo circumnavigator extraordinaire) were in Melbourne for the main fleet start of the Osaka race to farewell their son Tristan and co-skipper Jamie from Force Eleven. As part of the entertainment at the farewell dinner, Wendy put pen to paper again to bid the fleet bon voyage. For those of you who enjoyed that celebration and for those who were unable to attend, here is her poem, parts one and two.